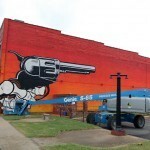 After a cute mole a few days ago, ROA just finished working on a massive otter on the streets of Fort Smith, Arkansas. 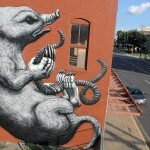 In town for the excellent Unexpected Street Art Festival, the globe-trotting Belgian artist spent three days up high on his cherry picker to create another one of his adorable monochrome creatures. 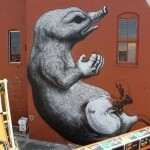 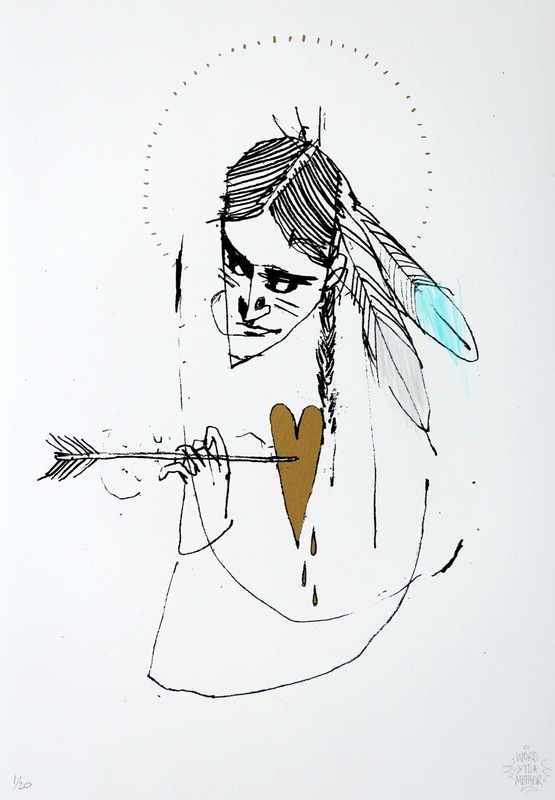 As usual with ROA, the placement and integration are spot on! 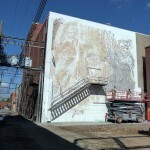 Take a look at more detailed images after the break and then check back with us throughout the week for more mural updates from North America.